Look up the meaning of humility and one thing you will not see in any dictionary in any language in any country on the face of the earth is reference to a salesperson. humility, noun, a modest or low view of one’s own importance. USAGE: The salesperson received his award for rep of the year with complete and total humility. That’s not going to happen any time soon, right? Salespeople—and I count myself among that group—are not known for their modesty, meekness, or gentility. And that’s fine, to a point, for salespeople are the hunters of the tribe, and a certain amount of ego is needed to hunt day in and day out, year after year. We’ve known for quite some time that the internet has leveled the playing field between the buyer and the seller. Information about product and price is no longer a closely guarded secret, and most buyers educate themselves before even contacting a seller, with terms and conditions already in mind when they do. The wise salesperson embraces this dynamic and uses it to his or her advantage. But this requires generous doses of humility. Instead of becoming defensive as a prospect explains how much they know about you (and your competition and your industry) after reading an article on Wikipedia, the humble seller listens, asks insightful questions, and patiently fills in the gaps. In this way, humility in selling means coming alongside a client or prospect and helping them make a choice that’s the right fit for their situation. It does not mean proving to them how much you know, and how that’s infinitely more than what they know. This—irrespective of popular misconceptions—is how the best sellers have conducted themselves since selling began: with humility. Please note, however, that humility does not mean always agreeing with the buyer, begging for business, caving in to their terms, or discounting deeply. That’s not humility, that’s groveling. Humility is confident, but not arrogant; assertive, but not rude or aggressive; rigorous, but not ruthless. The humble salesperson views themselves as a peer to the buyer, not higher than they are nor lower, but an equal, a trusted advisor whose job it is to help that buyer make the best decision for their business. There is no perfect product, not even yours. There is no perfect service, either. You know that (but may not admit it) and your prospect knows it as well (but may not let on that they do). So let’s stop pretending and get real about sales. Getting real means this: When you’re selling something to someone else, do not be afraid of discussing its shortcomings, being honest about its imperfections, and what your company has done—and will continue to do—to address them. I know this is counterintuitive, but it works spectacularly. The reason it works is because it positions you, again, as a peer to the buyer, a trusted advisor who has their best interests at heart. It also flushes out objections that the prospect is thinking about but is too polite to mention. So not only do you prove yourself to be credible and trustworthy, but you come off as a bit of a mind reader as well. I’m a solo consultant, and I’m going to stay a soloist far into the foreseeable future. The problem is, I often end up bidding against consulting firms. So I explain to my prospects, bringing this subject up myself and not waiting for them to bring it up, that because I’m a soloist my clients deal with me directly, not a junior partner or a college intern. By definition, this is what working with a soloist entails. Then I say that I know that means at times I will not always know exactly what to do in every situation. I’m just one person, how could I? So what I’ve done it develop relationships with other consultants I trust explicitly, some of whom are much smarter than I, and bring difficult situations to them for their input. In this way, the clients who work with me get the best of both worlds: personal, one-on-one attention and cutting-edge thought leadership. Since using this approach, a more honest, humble answer to the soloist objection (instead of the chest-thumping bravado I used to do, trying to prove to the world that I was the smartest person in the room), I haven’t lost a deal to a firm yet. 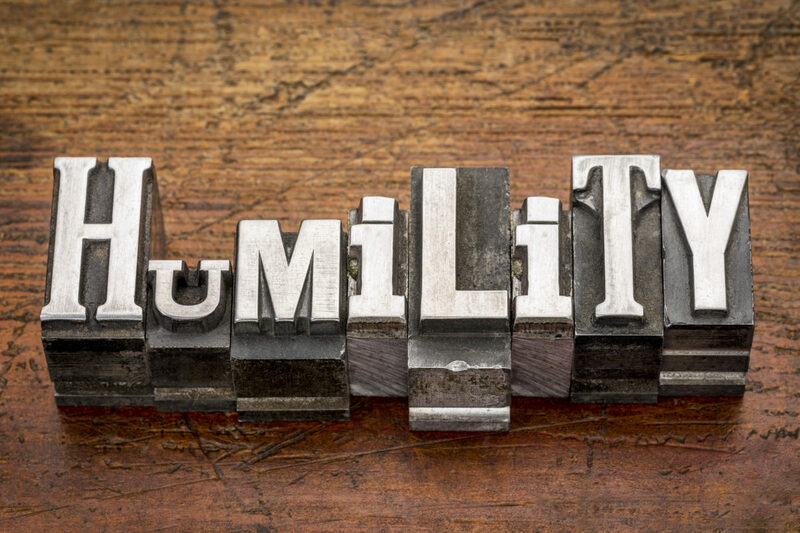 This final expression of humility in sales has to do with your internal customer. I’m shocked at how many salespeople treat their clients and prospects with the utmost of consideration and the people inside their own company with arrogance and disdain. Salespeople who do this like to quote Jack Nicholson in A Few Good Men to excuse their behavior, “You can’t handle the truth!” But remember, it didn’t end well for Jack’s character, Colonel Nathan R. Jessup. He went to prison, right? You’ll face the same fate if you take that scorched earth approach to the cross-functional relationships you have in your company. No you won’t end up in prison, but your requests for information will get lost in someone’s inbox, your deals will mysteriously take longer in implementation, and your mistakes—which you’ll make, trust me—instead of being forgiven and forgotten, will be announced to the world. Here’s my bottom line: As a salesperson you’re not the center of your company’s universe. You’re an important player, yes, but not the all-important player. No one is. Others, too, are critical to the process, and you’re dependent on them for your success. Treat these people well, like they were your customer, because that’s what they are: your internal customer. So no one’s going to put your picture next to the word humility in the dictionary. Mine either! 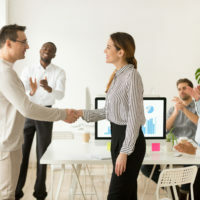 But I think we can all do better in this, by being better people as we interact with clients and prospects, present our products and services, and work cross-functionally within our organizations. And that will result in more sales, much more sales, probably more than we ever imagine.